Standard Polyethylene Irrigation Pipe-with-the-Stripe® features a permanent coloured stripe which enables the class and type of pipe to be easily identified, whether in storage onsite or embedded in the ground. In fact, the stripe is actually part of the irrigation pipe and will always be visible. 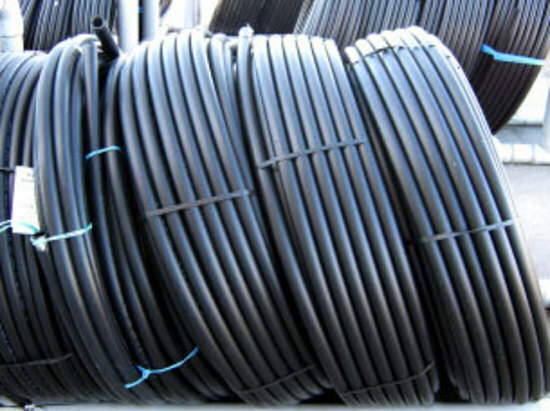 This polyethylene irrigation piping can be used in an almost limitless range of indoor as well as outdoor applications, from distribution lines, to maple sap collection, to greenhouse irrigation, to name just a few. 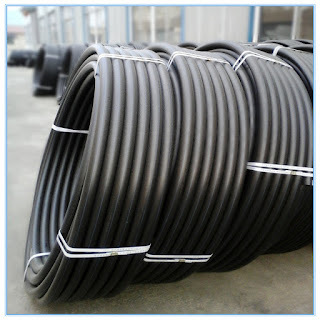 Lightweight and easy to install using compression or barbed insert fittings, polyethylene irrigation Pipe-with-the-Stripe offers outstanding strength and flexibility along with the chemical, corrosion and UV resistance you’d expect from polyethylene. Choose from standard or CSA-certified PE, in nominal sizes from ½" to 3". Agriculture -: Spraying Pestides , Long Length Delivery Of water, Suction and Delivery loss from borewells , air compressor, lift irrigation schemes and submersible pump lifting water. For portable water supply :In Urban And Rural Areas even at the zero temperature at high altitudes. For Industrial Use : Conveying corrosive effluence of chemicals and air conditioning and ducting compressive air supply , Chilled water circulation in Sea ways and Dry Lakes , Acids and Alkalies. For Carrying Gases per domestic and Industrial Purposes..
BEEPLAF Wire Mesh Production CO.,LTD located in Morocco ,specializes in the production and operation of all kinds of Wire Mesh Fence(with all type post),Double Wire Fence,Chain Link Fence,haxagonal mesh ,barbed ,Welded Gabion Box,Hexagonal Gabion Box,Galvanized wire, and also all kind of pipe etc.